Playmates has finally let collectors know when they can expect the movie versions of their favorite shell heads in the TMNT Classics series. Playmates plans on releasing all for 90's movie turtles toward the end of July. While other than the slow releases I have really enjoyed this line so far I am a bit underwhelmed by theses figures. 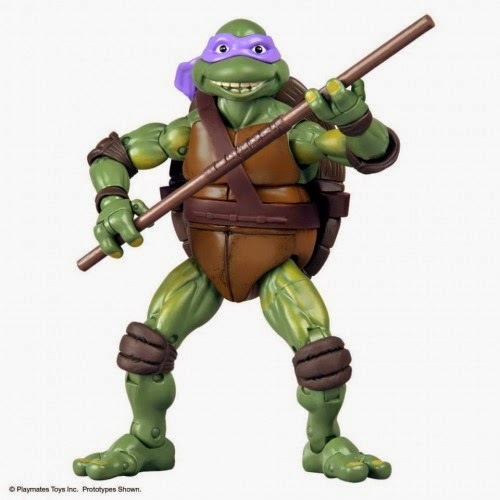 In my opinion they don't even compare to the original movie version turtle figures playmates put out in the early 90's which were one of the highlights of the original playmates line. What do you guys of these? Do they live up to the original movie turtle figures from the 90's? Thanks to ToyNews I for the scoop!